The Perfect Imperfection set returns after 8 years! Some seven or eight years ago the lovely Reiko Yoshida Hanano of Hilo, was visited by her Father from Tokyo. 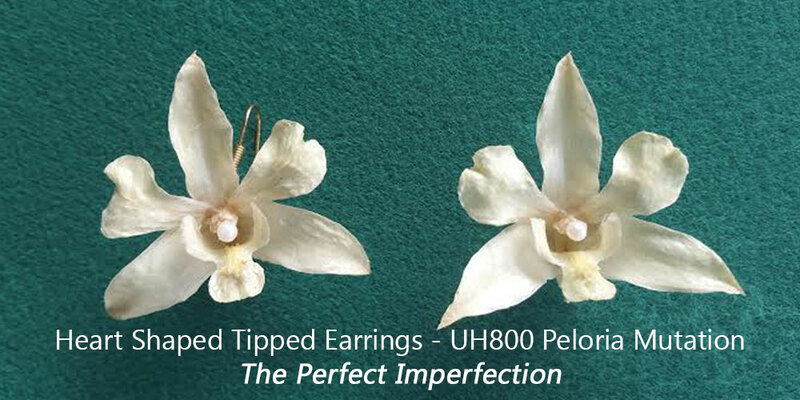 The two enjoyed a visit to that year’s Hilo Annual Orchid Show where Father graciously purchased a gift for his daughter of my earrings and pendant set in what is now known as “The Perfect Imperfection”. 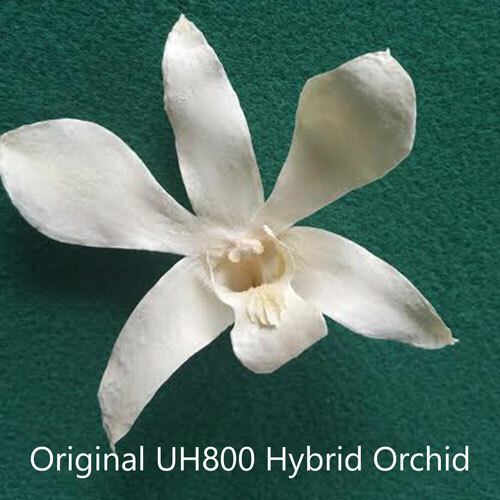 This year Reiko-san visited me at the Orchid Show in June wearing the very gift her Father had originally purchased for her. 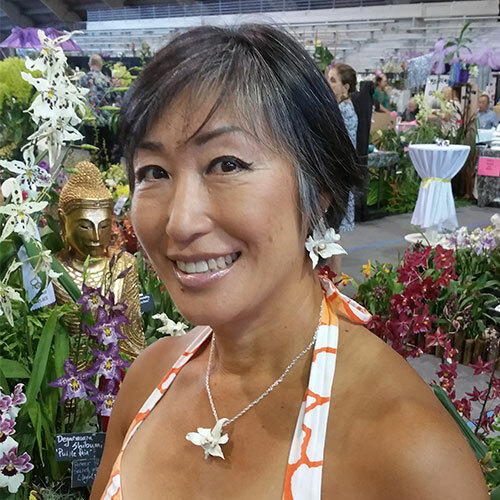 In spite of the passing of the years both Reiko and her real orchid jewelry looked fresh and beautiful – thank you Reiko, you are a flattering compliment to my work!